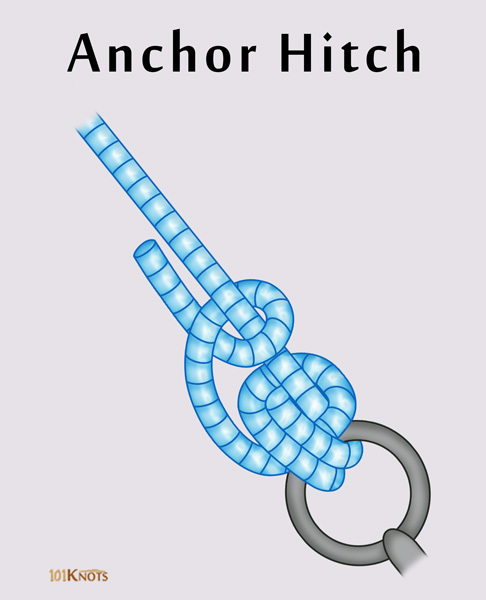 Also known by the names anchor bend and fisherman’s bend, this knot is basically used to connect an anchor line to an anchor. The nautical knot can also join a rope to a ring or similar termination. It is helpful when you need to set up a second anchor in a hurry. It doesn’t significantly reduce the line strength, is easy to tie and about 10% stronger than the bowline. The bend holds well even if you alternate the load between heavy and slack. 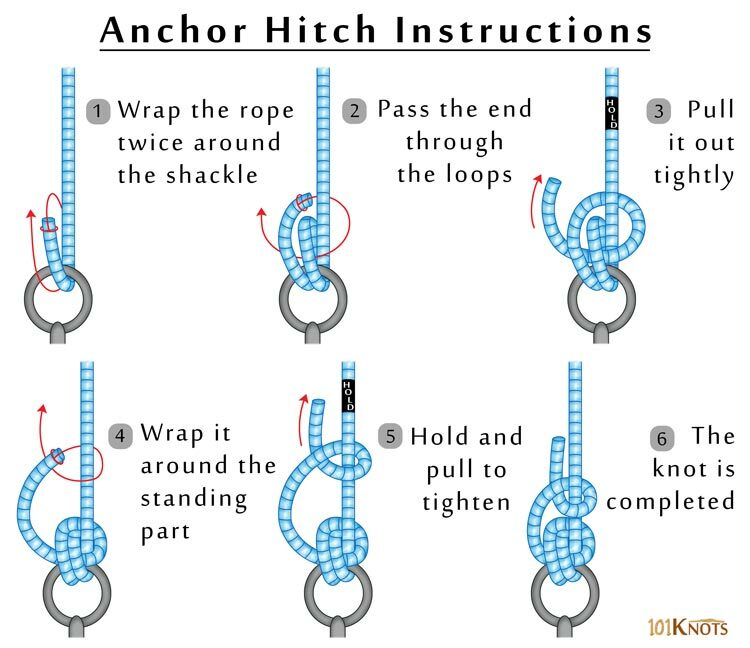 Note that a half hitch is made in step 4. For added security, you can join the free end to the standing line with seizing after making the hitch. The marine knot resembles the round turn and two half hitches the only difference being the first half hitch is also wrapped around the standing part instead of passing it under the initial two turns as shown in step 3 above. Buntline hitch – Not specialized for anchoring. It is mainly used for securing the foot of a sail to the buntlines. Figure 8 on a bight – More suited for anchoring during climbing. Double figure 8 knot – Forms a double loop and safer for climbing purposes. Anchoring boats (including drift boats), kayaks. Tying carabiners in climbing (including rock climbing).